Local Government elections should, primarily, be about local affairs and local welfare, national political skulduggery should be secondary. Pradeep Kariyawasam in a piece on LG elections and Colombo’s health problems (Sunday Island, 24 December) calls attention to one such issue. But Sri Lanka is over-politicised, stricken with the ailments but few of the benefits of democracy. The potential fallout from next month’s LG elections has taken attention away from choosing competent councillors and addressing issues at grassroots. The UNP and SLFP in Yahapalana, the Poropaya (or Porotuwa or whatever) and the JVP are testing the waters in the South and the TNA is anxious about the North; all with an eye on the 2020 general election. February will not only be a weathervane for 2020 but will also set the mood for political chicanery and horse-trading in the next two years. I will try to discuss the LG scene without letting my prejudices intrude too much – tough! Despite frequent ‘breaking news’ flashes from the Rajapaksa Joint Opposition (JO-Pak), and notwithstanding the media (Sinhala and English) unearthing the impending doom for the UNP-SLFP alliance, the Sirisena-Ranil duo seems to hang together comfortably. I wouldn’t know about acrimony in private, but in public both display proper protocol and at this time, prior to LG elections, this apex relationship seems amicable. At the next lower level there is much backbiting between UNP, JO-Pak and Sirisena cohorts, but cynic that I am, I attribute this simply to pre-election opportunism. President Sirisena and his Ministers and MPs are searching, it seems searching desperately, for options and possibilities; the number of Deputy Ministers is swelling. Team-Sirisena will not give up on its relationship with the UNP, especially if it comes third (or fourth behind the JVP), neither has it ruled out a post-election deal with JO-Pak. It depends on how the chips fall. If, lubricated by cross-over opportunists, Team-Sirisena does well enough not to need to kowtow before Rajapaksa, rapprochement with JO-Pak is possible. If the price of reunification is kneeling before Paksa, then it will prefer to stay with the UNP and think about what to do at leisure. That is, the Sirisena-SLFP will, logically, prefer the status quo to genuflection before Rajapaksa’s throne. The JVP is, as usual, shooting in the dark without torchlight or searchlight. It eschews an alliance with the left, including the CP, smaller parties like the ULF (LSSP Majority Group) and the NSSP, and like Don Quixote, tilts at windmills. Most people say it will secure more seats than before, but for sure it will fall short of its potential had it spearheaded a left alliance. Daft, self-destructive, self-centred egotism; but that’s an occupational hazard of the JVP. The UNP is battling to defend the Ashes and will be grateful if it does better than the English touring team in Australia. The UNP-Front will be satisfied if it can retain the same proportion of total votes as in the 2015 parliamentary elections and come first in the Moratuwa to Negombo costal belt, the Central Province, parts of Uva and pockets in the NWP and EP. The UNP and its buddy Mano Ganesan will carry all the geographical constituencies in Colombo City and most of the proportional seats. However, there is visible dissatisfaction on economic issues, the inability to bring bigtime Paksa era crooks to book, the bond scam, and permitting thieving, conniving, fornicating relatives of the Paksa household to get away scot free after running Sri Lankan Airlines to the ground and foisting a $702 million write off on the state (you and me). Enough, normally, to destroy an incumbent regime. The big unknown for the UNP is the effect of the racist campaign mounted by JO-Pak with the support of clergy and media (Sinhala and English). I expect the SLPP (poropaya) to do well in Ratnapura and Kurunegala Districts and the Southern Province. If the UNP creeps in as a close second in this Sinhala heartland (it cannot possibly come first), it spells curtains for the JO-Pak bandwagon. The performance of JO-Pak, alias SLPP, alias poropaya is an enigma. The course of politics in the next two years will be decided by this more than any other result. If it does well, we are in for another spell where the politics of race and religion will dominate. If so, the primary culprit is not any political entity, not even JO-Pak, fundamentally; it is the people. If the Sinhala-Buddhist mass will not permit devolution of administration to the Ceylon Tamils, then what? What the Tamils will do remains to be seen, but the groundwork for Parbaharan Mark II would have been laid. I mean it, if Tamils and Muslims are not allowed to run their affairs in their principal areas of domicile, do you, dear reader, have any better predictions about the long term? The Sirisena-Ranil government has cut and run on the proposed constitution. Unless the UNP scores a resounding LG victory, which is unlikely, we can kiss the new constitution goodbye. Then the TNA, Tamils, the liberals, the left and this correspondent can all go lick their wounds. If it turns out to be a big victory for poropaya in the Sinhala-Buddhist heartland, it will signal a return to the bad old SWRD-JR era. If you disdain what I say, let’s go our separate ways for now and catch up after more blood has flowed. I see this election as a referendum on Sinhala-Buddhist ethics, limits and hegemonic aspirations; it is more than a storm in a local government teacup. If (once) the constitution goes belly-up, Eelamists and Tamil nationalists will eviscerate Sampanthan, Sumandiran, the TNA and its principal constituent the ITAK. The critique will be: “You led us up the gum tree again. B-C Pact, Dudley-Chelva Accord, JR’s half-baked 13A, the lessons are obvious. The Sinhala majority will never give us reasonable space; but you compromisers, have hoodwinked the Tamils and made asses of yourselves – again!” The obvious TNA defence that it tried hard and was cheated will not cut any ice with the Tamils. I have consistently maintained that Gota cannot win a presidential election. No one can do better than Mahinda did in 2015 if all the minorities – Muslims, Ceylon and Upcountry Tamils and Catholics – band together in a rock-hard obstacle. In that case Gota will be defeated by more than 10 points – worse than 45:55. However, parliamentary, provincial and local polls are different because minority votes are locked away in their own regions. Gota losing a presidential election and the UNP and Team-Sirisena losing local and provincial polls in the Sinhalese areas, are not inconsistent. The opposition has built its campaign against this government from day-one with sustained non-cooperation, by engineering strikes, disruptions and sometimes sabotage. Yahapalana’s response has been capitulation (SAITM), flummoxed confusion (student boycotts and trade union actions), or popularity contests (Sagla, Kiriella, Rajitha, Mangala versus Team-Sirisena). Bourgeois-democracy bares its bottom widest at election time. The point has been made that it is reductionist to attribute an extensive strike wave to JO-Pak machinations alone. That’s true; yes, when the opposition’s instigation sowed the seed, it fell on fertile ground. Worker disillusionment is in part due to a non-performing economy and in part the ‘tragedy of the traditional working-class’. As technology advances the mode of production breaks new ground alienating the old working-class. This motivated a surge of white worker support for Trump in “rust belt” states. Many state/corporate institutions in Lanka are crumbling; railways, ports, buses, government hospital, postal and sectors are ramshackle, but modernisation will endanger jobs. This is why modernisation, improvement and efficiency enhancement are often opposed by trade unions. The traditional or old working-class all over the world is being marginalised and the capitalist order has no solution to this social debacle. The GMOA is a different story. Doctors are conspiring to defend a closed shop and sabotage private medical education so as to eradicate competition. Talk of patient welfare and standards is hogwash. 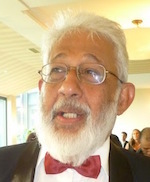 Professor ANI Ekanayaka (“Peace . . . at any Cost”, Island 1 Jan 2018) is ferocious and forthright in taking a scalpel to the throat of humbug doctors, hoodlum undergraduates and spineless leaders. The voter sees a President, a PM and a subject Minister, all blathering babes in wet nappies, too yellow livered to confront and break the sabotage of public health services or oust brutish students. Tough decisions are evaded, consequently, the old war-winning team shines in forceful contrast. This time I make no electoral predictions; wonky predictions are the bane of every political columnist. 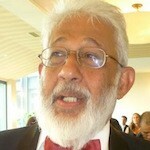 « SriLankan Airlines – Total Privatization Or Liquidation?